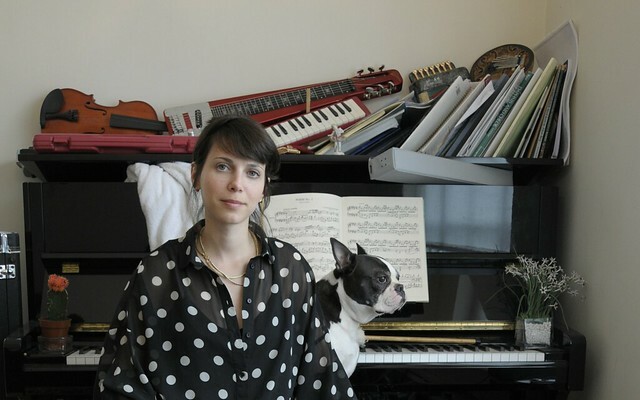 Composer will present a major work at the Royal Opera House at the end of her residency. This September, Na’ama Zisser will become the second Doctoral Composer-in-Residence at Guildhall School of Music and Drama. The studentship leads to a doctoral degree and is a collaboration between the conservatory and the Royal Opera House. The residency is three years long and provides the composer time to research and write a major work, which will be staged by The Royal Opera at the end of the placement. After completing compulsory military service as a pianist in the Israeli Air Force orchestra, Na’ama began her music training at Jerusalem Academy of Music and Dance. She went on to graduate with Distinction from the Royal College of Music, earning an MA in Composition. Na’ama’s music centres on collaborations and has particular focus on contemporary dance and opera. Her work has been performed throughout the UK — including at the Aldeburgh Music Festival, Sadler’s Wells and The National Portrait Gallery. Recently, she composed an operatic work for fiver counter/high tenors for the Tête à Tête Opera Company, to be performed by the London based ensemble, CHROMA. As Doctoral Composer-in-Residence, Na’ama have both professional and academic mentors. This year, Head of Composition at the Guildhall School, Professor Julian Philips will partner with Associate Director of Opera for The Royal Opera, John Fulljames, to offer support. When she takes on the role in September, Na’ama will replace Philip Venables, the first composer to be awarded the studentship. His opera 4.48 Psychosis – the first operatic adaptation of a work by Sarah Kane – will have its premiere performances at the Lyric Hammersmith in May 2016. The Doctoral Composer-in-Residence is fully funded by the Guildhall School and is supported by the Royal Opera House. The Guildhall School offers an MA in Opera Making and Writing in association with the Royal Opera House. Launched in 2014. This full-time, one-year Masters programme allows composers and writers to focus on how new opera is created, developed and performed. The Guildhall School of Music & Drama is provided by the City of London Corporation.